You’ll find your inventory filling up pretty quickly in My Time at Portia. Especially after you go mining in ancient ruins, as you’ll start collecting large amounts of relics. Luckily, you can build storage chests as early into the game as you want. There are no special requirements or quests that need completing, just access to your worktable. 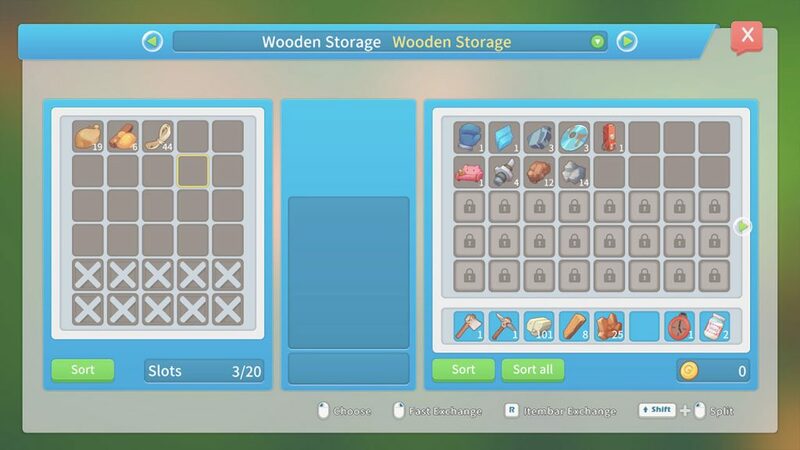 Below, we’ll show you how to build a Wooden Storage chest in My Time at Portia. Whilst we have some more guides here which may be useful to you. Interact with your worktable in your base. 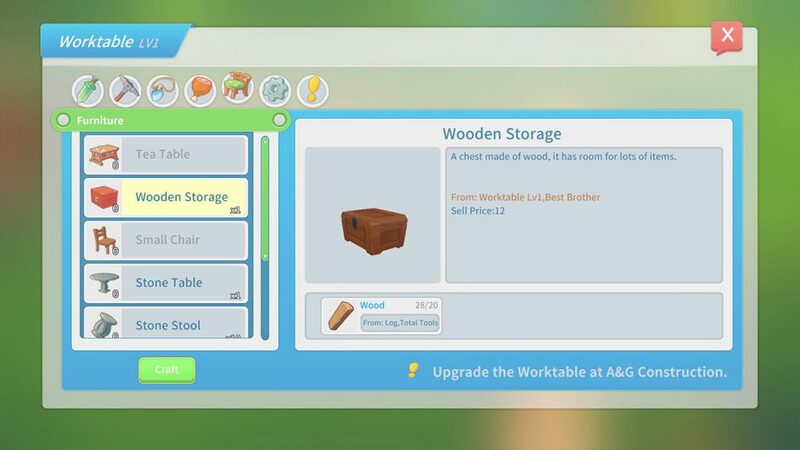 Here, you can build all sorts of items, head to the furniture tab at the top which has an icon of a chair. One of the options is the Wooden Storage. It has a description of ‘A chest made of wood, it has room for lots of items’. This item costs 20 wood, which can be collected from around the outside of your house. Once crafted, you will need to place it down, either outside or inside your house. Interact with it and you can begin storing items. There will be 20 empty slots you can use, you can then use the sort button to sort items by category.